My sister Johanna is the queen of showers. Bridal & Baby showers, that is. 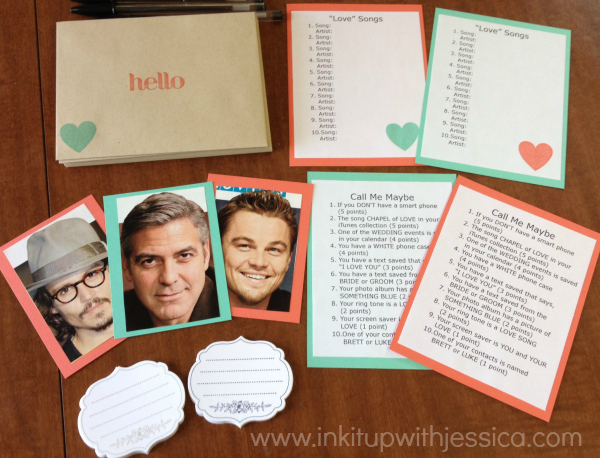 She’s always got fun ideas for invitations, games, favors and decor. She is great at making the plain look fancy! 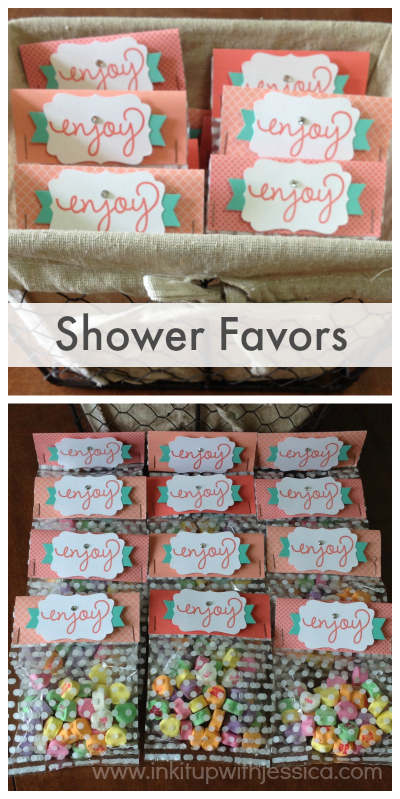 If you need creative bridal shower ideas, here are some from a shower she recently hosted for two sisters that are each getting married this summer. How yummy does the food on that table look? 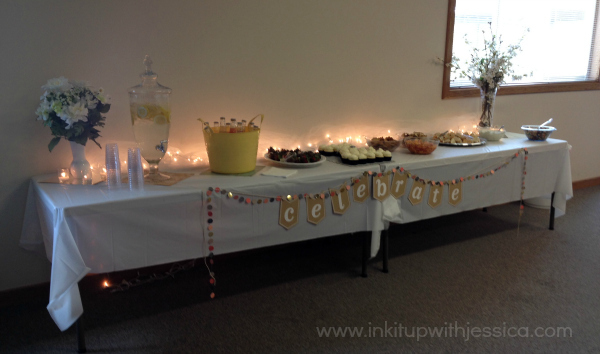 The treat table is fancied up with a Celebrate Banner, tulle with white lights and vases of flowers. Serving beverages in bottles? Put ice in the bottom of a bucket or bin and place them on top. What’s a shower without games? The Call Me Maybe game will have your guests reaching for their cell phones. Cue up your itunes with some love songs and play short clips for guests to guess the song and artist. 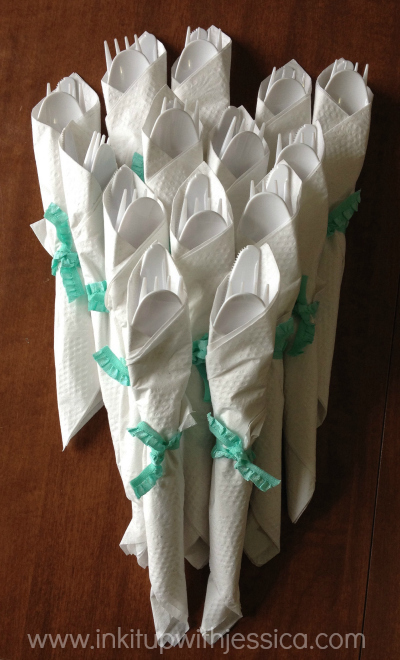 Gather up the supplies that each guest will need and place them in envelopes. Hand out a game packet to each guest and let the fun begin! 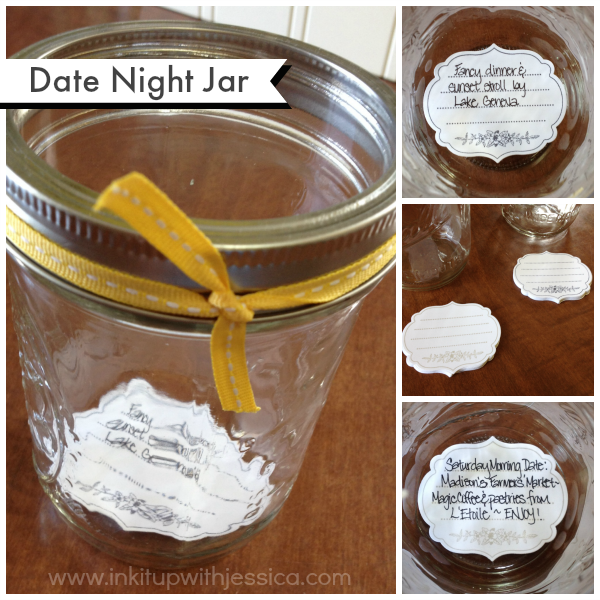 Another fun activity is the Date Night Jar! Have each guest write up a date night suggestion for the bride & groom. Decorate a mason jar by tying ribbon around the top, insert the date night idea slips and you’ve got a fun gift for the bride. Don’t let your guests leave empty handed! 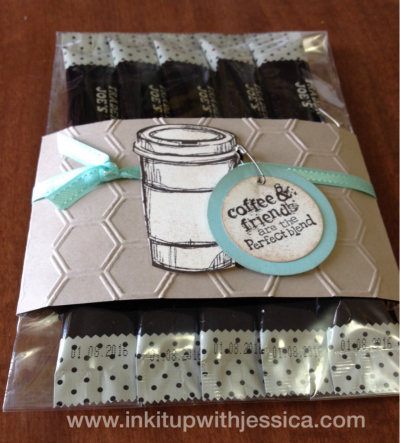 Send them home with these sweet bridal shower favors! Cello bags filled with candy hearts and topped with a cute topper share the love. If you’ve still got time after you prepped everything else, you can even fancy up the flatware! Just wrap each set in a napkin and tie on some ribbon. 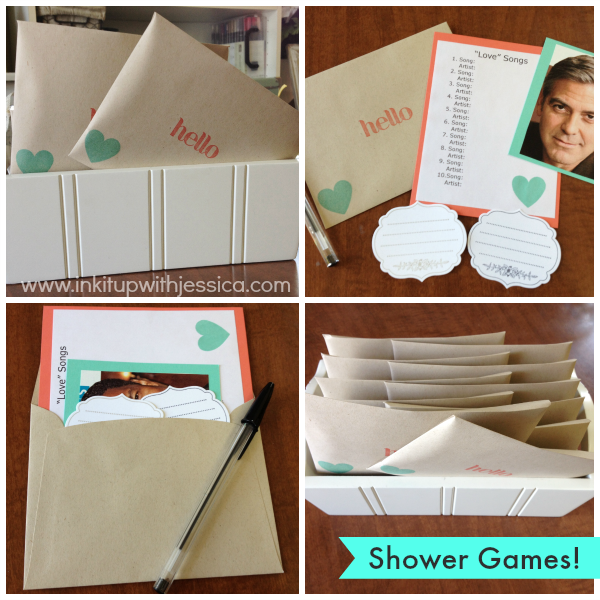 Your friends will be seriously impressed when you host your next shower! Questions about what you see here? Leave a comment and I’ll make sure my sister swings by to answer. Really cute ideas. Thanks for sharing. Great ideas. Thankfully, I don’t have to create any type of showers – ever!